L’Oeuvre (a.k.a. The Masterpiece) tells the story of Claude Lantier, a gifted but unorthodox artist scratching out a bohemian existence in Paris. Claude’s innovative painting style is years ahead of its time. It frustrates him that he is not getting the acceptance from the cultural establishment that he feels he deserves. Determined to create a masterpiece that will earn acclaim in the annual Paris salon exhibition, he becomes obsessed with his art, abandoning his friends, his family, and his sanity. This is the 14th book in Zola’s Rougon-Macquart series, and one of Zola’s most autobiographical novels. Claude is a surrogate for Zola’s childhood friend Paul Cézanne, and Claude’s best friend Pierre Sandoz stands in for the author himself. Zola vividly depicts the bohemian lifestyle of his young adulthood in Paris. Claude, Sandoz, and their gang of artist friends struggle to make their fortunes as painters, writers, and sculptors. They enjoy each other’s camaraderie, encouraging and challenging one another over drinks in a cafe where they debate the meaning and value of art. The reader can’t help but share in the excitement of their contagious determination to change the world. As an artist myself, I found Zola’s vivid description of the annual salon exhibition—the submission process, the back room politics governing the selection of works, the opening day festivities—particularly fascinating. As the young men grow up, they drift apart somewhat and begin to lead more settled, adult lives. Claude’s love interest, Christine, takes on a larger role in his life, and becomes an equally prominent character in the novel. Zola delves deeply into the dynamics of Claude’s marriage, and the toll his art takes on the relationship. The least interesting scenes of the book are the extensive descriptions of the “masterpiece” itself. The specifics of the work don’t add much to our understanding of the artist’s obsession. Though this book engages the reader from the beginning, it falters towards the end as it becomes more and more divorced from reality. In order to prove a point about the intrinsic inseparability of art and artist, Zola exaggerates Claude’s compulsion until it defies believability. Despite these few complaints, overall this is an excellent novel and a great window into the artistic world of Paris at a time when exciting changes took place. Zola fans will find it a valuable read, as will anyone interested in the art world of turn-of-the-century (last century, that is) France. If you liked this review, please follow the link below to Amazon.com and give me a “helpful” vote. Thank you. I had never read Wendell Berry before, and this book has provided me with a very comprehensive introduction to his thought. Berry advocates abandoning the present resource exploitative global industrial economy in favor of local economies and a more responsible, ethical treatment of the Earth. He is against “free trade” and the free market economy, because it strengthens corporations and eliminates farmers. He is a strong proponent of sustainable agriculture, but he mostly avoids discussing the science here and concentrates rather on the ethics of land use and food production. He’s a confessed Luddite, in that he detests technology when it replaces human labor. He’s also a devout Christian, but offers a unique interpretation of the Bible that sounds an awful lot like Pantheism. He believes we should place more emphasis on marriage, family, and community life, and replace our meaningless occupations with meaningful vocations. Berry’s main argument is that for the sake of a little money and ease we have ceded too much of our decision-making responsibility to the corporations and the government, thereby giving up our personal freedom and becoming passive bystanders rather than active participants in the world in which we live. Though I don’t agree with Berry on every issue, I found his writings very enlightening and in some cases mind-blowing. Berry is a brilliant diagnostician. I doubt there’s a writer alive who can better enunciate the ills of modern society. Unfortunately, this collection doesn’t prescribe a clear course of treatment. Berry proposes we take up organic gardening and invest in local food—good first steps, indeed—but that hardly seems sufficient to overthrow a status quo that’s existed since the dawn of the industrial revolution. Much of Berry’s agrarianism seems to harken back to a time when the population of the world was one tenth if not one hundredth of what it is today, yet he’s against birth control. On an Earth full to bursting, how practical are his dreams of a quasi-Amish society? Most of the faults of this book are editorial rather than authorial. The collection is relentlessly repetitive, with the same points being hammered home again and again. Berry states his case so elegantly and eloquently, do we really need to be beat over the head with it? When I first started reading the book I was excited by Berry’s ideas; by the end I just wanted to get it over with. For this reason, I would recommend taking a break between essays. The Kindle file, inexplicably, has no table of contents. There is a bibliographic list of essays in the very back of the book, but you have to hunt for it, and it’s not interactive. It’s also difficult to tell when exactly some of these pieces were written. Some essays begin with a date, some end with a date, others are simply undated. Whether you’re a liberal or a conservative, a Christian or a freethinker, you will find much food for thought in this collection of essays. If you care about the world in which we live, then Berry’s perspective is worth a listen. Frank Norris was one of the most important and influential American novelists of the late 19th and early 20th centuries. With the publication of this book in 2006, just over a century after his death, Joseph R. McElrath Jr. and Jesse S. Crisler have finally provided Norris fans with the richly detailed and insightful biography this great writer deserves. To be honest, the course of Norris’s life is not particularly fascinating in its own right. He was born into a life of privilege, so this is no rags-to-riches tale. Nor did he live the sort of exciting, adventurous life of a Jack London or a Herman Melville. Quite frankly, he comes across as a bit of a mama’s boy. For those who are lovers of his work, however, the value of this penetrating biography lies in the illumination of how the events of Norris’s life contributed to the creation of his exceptional novels. Norris originally studied painting at the Académie Julian in Paris. After abandoning that vocation, his life, for the most part, revolved entirely around writing—studying writing, practicing writing, making a living off his writing, and critiquing the writing of others. The first half of the book summarizes just about every short story and article Norris ever wrote, illustrating how each piece contributed to the making of his masterpiece McTeague. The second half of the book does the same for The Octopus and The Pit. In between, Norris makes a brief, disappointing visit to South Africa and spends three grueling months in Cuba as a war correspondent during the Spanish-American War. If there’s such a thing as being too thorough, McElrath and Crisler may be guilty of it. At times Norris’s life story feels overshadowed by frequent digressions made for the purpose of establishing historical context, or by the painstaking analysis of every word he’s ever written. Between an error of excess and an error of omission, however, the former is the lesser of two evils. For readers who want to know everything there is to know about Frank Norris, and then some, this is the book for you. Unfortunately, there's no way for scholars to write literary criticism without to some extent spoiling the author’s work for those who haven’t read it. Do not read this book unless you’ve already read McTeague, The Octopus, The Pit, and Vandover and the Brute. If you haven’t read them, not only will McElrath and Crisler ruin those books for you, but you won’t understand anything they’re talking about. The knowledge I’ve gained from reading this treatment of Norris’s life has contributed greatly to my enjoyment, appreciation, and understanding of his works. On the other hand, I have lost some enthusiasm for undertaking Norris’s lesser known novels—Moran of the Lady Letty, Blix, and A Man’s Woman—now that his biographers have already revealed the ultimate fate of each and every character contained therein. Despite the fact that McElrath and Crisler have built their careers upon Norris and his work, this book is no mere exercise in hero worship. When Norris behaves like a racist, a coward, a liar, or just a bad writer, they’re not afraid to call him on it. This objectivity is invaluable in creating a clear, authentic portrait of the man in question. Frank Norris: A Life will likely remain the authoritative source on this literary master’s life for decades to come. Aficionados of his work will find in it much to enjoy. This is one of the earliest entries in Georges Simenon’s Inspector Maigret series of mysteries. It was originally published in 1931 under the French title of Le Charretier de “La Providence.” At Lock 14 in Dizy, near where the river Marne meets the canal of the same name, the body of a strangled woman is found lying amidst the straw on the floor of a stable. From her stylish dress she’s obviously a woman of some means, more at home in the fashionable milieu of Parisian society. What could have brought her to this obscure corner of the countryside, to end her days amongst the boatmen, the carters, and their horses? That’s what Maigret aims to find out. To do so he spends much of the book traveling up and down the canal line, chasing after barges, tugs, and yachts, to question the nomadic inhabitants of these vessels. At one point he even rides forty miles on a bicycle, presumably attired in suit, overcoat, and hat. In many ways Maigret is the antithesis of the many literary detectives modeled after Sherlock Holmes. While the appeal of the Holmes mysteries relies heavily on the personality quirks of the hero, Maigret is almost an absolute cipher by comparison. Simenon gives us almost no description of his star detective whatsoever, other than he carries a pipe and likes to drink. The supporting characters are drawn much more vividly. Maigret doesn’t so much as investigate his suspects as act as their confessor. He relentlessly dogs the wayfarers of this aquatic crossroads until they eventually spill their guts to him. While most mystery authors write about murder like it’s a mathematical game or a jigsaw puzzle, Simenon treats crime as a shocking event that affects people’s lives. The psychological dimensions of the characters are far more important than the mental gymnastics required to solve the case. The ending of Lock 14 exudes a tragic pathos that transcends the typical emotional limitations of the mystery genre. By adding this psychological depth, Simenon brings the murder mystery out of the realm of escapist entertainment and into the scope of realist literature. The setting of the book also resonates with a keen ring of truth. Simenon paints a vivid portrait of life along the canal. At the time the story takes place, some of the boats were motorized, but most of the barges were still pulled by horses walking along a towpath. At each stop, the boat pilots might have to park for days while waiting for their turn to traverse the lock. The local tavern becomes the center of their existence for the duration. The carters care for their horses, upon whom their livelihoods depend, with an almost brotherly devotion. The reader becomes immersed in the working and social lives of these laborers. For the American reader, it’s an unglamorized view of French life that the typical tourist would never experience. Simenon was an incredibly prolific author, and though I’ve only read a few of his works so far, I suspect that if one reads enough of his work one would find depicted the daily life of every region, every class, every walk of life in France. In that sense he’s like the Balzac of the early 20th century. The plot of Lock 14 may not be intricate enough to satisfy the most zealous mystery enthusiasts, but anyone interested in France and its literature will find the reading of this brief book well worth the time spent. Love of Life is a collection of short stories published by Jack London in 1907. These eight stories are all set in Alaska or the Yukon Territory, with the exception of one set in northern California which also touches on the subject of the Klondike gold rush. Though overall not his best work, the collection contains a few exceptional pieces that elevate it above the mediocre. Three stories stand out here as a cut above the rest. In “Negore, the Coward,” a tribe of indigenous Alaskans flees a troop of pursuing Russian conquerors. In order to win the heart of the woman he loves, the titular character must redeem his tarnished reputation by bravely ensnaring the oppressors. In “The Sun Dog Trail,” London’s recurring character Sitka Charley, a Native trail guide for hire, recalls how he led a mysterious rich woman back and forth across the frozen North on a grueling, epic manhunt. “The Unexpected” tells of a brutal act of violence in a remote cabin. The survivors are left to figure out what to do with the perpetrator. When so far removed from civilization, do conventional notions of law and justice still have any meaning? At the beginning of his career, London published four great collections of Klondike stories: The Son of the Wolf, The God of His Fathers, Children of the Frost, and The Faith of Men. Love of Life came out a few years later, and although it includes a few gems, overall these later stories are inferior to those earlier works, and often feel like rehashes of subjects already covered by London. “Brown Wolf,” for example, covers ground previously trod by the novel White Fang. The north woods soap opera of “A Day’s Lodging” is reminiscent of earlier tales of marital discontent like “The Priestly Prerogative” and “The Great Interrogation.” And with “The White Man’s Way,” London has examined one too many times the Indian’s perspective on those silly White men and their confusing laws. The story “Love of Life,” though a rather well-written and suspenseful offering, amounts to little more than a preliminary attempt at the intense man vs. nature struggle that London would capture far more successfully a year later in his classic tale “To Build a Fire,” only in this take the hero faces starvation rather than death by freezing. Of course, if you are approaching London’s stories for the first time and have never read those other works, then Love of Life would most likely prove to be a thoroughly enjoyable read. Those who read a lot of London, however, will find that, judging by the standards of the master’s work as a whole, Love of Life is a satisfying collection of stories, but not one of his best books overall. Victory is a novel by Joseph Conrad, first published in 1915, that takes place among the islands of Indonesia. Though subtitled “An Island Tale,’ the tropical setting is largely irrelevant, only serving to provide a remote island location for the action to take place, where danger is magnified by isolation. Axel Heyst, a failed businessman turned mysterious hermit, lives a solitary existence on a remote isle, amid the ruins of his defunct mining company. On a business trip to Surabaya, he meets Lena, a young musician in a women’s orchestra performing at his hotel. Lena’s position in the orchestra amounts to little more than indentured servitude, and her virtue is threatened by the amorous intentions of the hotel keeper, who already harbors a strong but unfounded dislike for Heyst. Heyst rescues Lena from her oppressive situation and whisks her off to his island where they fall in love. But when three dangerous criminals show up on the island, their idyll is violated, their lives are threatened, and their love for one another is tested. At the heart of Victory is a thrilling tale of romance and adventure. Unfortunately, the story is undermined by Conrad’s stylistic choices in the telling of it. Conrad switches narrative voice from first to third person, changes perspective from one character to another, and jumps around chronologically, jumbling the sequence of events. All this literary gymnastics seems an unnecessary attempt to add structural complexity to an otherwise simple and straightforward plot. Psychological complexity, on the other hand, is where Conrad truly excels. The characters are vividly drawn and quite memorable, with realistic motivations. Heyst seeks to withdraw himself from human concerns and resign himself to fate, but ultimately love forces him to reclaim his humanity and challenge his destiny. With the coming of the intruders, Lena, having had little control over her mostly unfortunate life, finds herself for the first time in a position to take some command over her own fate, a position she finds liberating despite the danger. The three desperadoes who seek to prey upon the lovers are deliciously creepy characters. In Conrad’s day they must have been quite shocking, and even now, almost a hundred years later, they are as chilling as any of the villains in today”s movies. There are some moments of gripping suspense in this novel that rival any of Alfred Hitchcock’s films. Overall, however, Conrad’s constant examination in minutiae of each character’s every movement, thought, and feeling greatly hinders the momentum of what could have been a taut thriller. The story would have been better served by more action and dialogue, with fewer interior monologues and soliloquies. Ultimately the psycho-philosophical novel and the noir thriller both contained within these pages compete with one another and cancel each other out. The book ends up amounting to a long, drawn-out buildup to a brief and far from satisfying ending. Despite its keen insights into human nature, Victory leaves the reader feeling he has invested his time in a mediocre work by an exceptional author. Simply put, I believe this is the greatest novel of all time. Yes, I’m a big Zola fan, but I don’t give all of his books five stars. This is his greatest achievement, and it deserves a place in anyone’s literary canon. The book describes the harsh life of coal miners in the (fictional?) mining town of Montsou in the north of France. Étienne Lantier (son of Gervaise in L’Assomoir) wanders into town looking for work. He gets a job in the mine and finds lodging with the Maheus, a family with seven children, whose daily life totally revolves around the mine. Étienne starts out as a passive Everyman character—we see this bleak world through his eyes. He then takes on a more active role in the lives of the miners by becoming a labor organizer and preaching socialist ideals. The miners decide to strike for better wages, which begins a chain of events leading to more suffering, sacrifice, and eventually violence. Zola beautifully examines the strike’s effect on every person involved: the miners, the town shopkeepers, the mine executives, the small business owner, the government, the shareholders, the communist intellectuals, the soldiers, the radical revolutionaries. Zola’s characteristic attention to detail creates a vivid world for the reader to inhabit. We become involved in these people’s lives and fight their battles within ourselves. No stone goes unturned, and no one emerges from the conflict with clean hands. Zola definitely inspires us to sympathize with the miners, but at the same time he does not absolve them of all responsibility for their own suffering. Nor does he paint the mine owners as evil personified. Instead, he creates human characters we can empathize with, and provides us with the motivations for their actions. Even Étienne, our eyes and ears in the story, does not come out smelling like a rose. Though his visions of socialist utopia may be lofty, his vanity and his limited intellect cloud his judgment, and as a result people suffer. This is mostly a serious novel, but there are lighter moments and bits of social satire as well. The lives of the miners are not all sorrow and woe. At the beginning of the book we enjoy some of their happier moments. From there, tension slowly builds into a snowball effect that climaxes with a series of shocking tragedies. Through it all Zola imbues an underlying philosophical debate on the value of human life and dignity. I would recommend this book to anyone, whether they are habitual readers of classic literature or not. Those who read this book might also enjoy The Octopus by Frank Norris, an American writer who was greatly influenced by this book. Diego Rivera: A Retrospective by Linda Banks Downs, et al. This book is the most comprehensive examination of Diego Rivera’s art that I have ever seen. It truly is a retrospective, covering all aspects of his career. The book has been compiled and designed to be the perfect synthesis of coffee-table portfolio and scholarly study in which the text and images unite to create a fitting tribute worthy of this master artist. The book contains over 400 images of Diego Rivera’s art, most of which are reproduced in color. The text begins with a detailed chronology of Rivera’s life and career, illustrated with over 250 images. 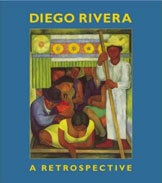 This is followed by ten essays by various authors, all generously illustrated, on diverse subjects such as the political and historical dimensions of Rivera’s work, the influence of cubism and pre-Columbian art on his work, Rivera’s influence on American art of the 1950s, and specific categories of his oeuvre such as murals, portraits, self-portraits and drawings. In all cases the authors provide valuable context and insight into Rivera’s work, in prose that is neither overloaded with inaccessible theory nor dumbed down for the general reader. The book ends with the 98-page “Mural Census,” an invaluable resource which provides detail on the history and content of every mural Rivera ever painted, including the obscure and nonextant. This section not only provides photographs, but also detailed, enumerated diagrams that explain the architectural layout of the buildings in which the murals were housed and the historic personages and Pre-Columbian subject matter depicted within them. Last but not least, there’s an extensive bibliography on Rivera as well. This is the ultimate one-volume reference on Rivera. No true fan of his art should be without it. This book tells the amazing story of how Girard, Kansas, a tiny town in the southeastern corner of the state, became the nerve center of the socialist movement in early twentieth century America. J. A. Wayland, a newspaper entrepreneur and real estate speculator, had founded other radical papers in Indiana and Colorado before starting the Appeal to Reason in Girard. The Appeal would go on to become the most widely distributed socialist periodical in American history—with a half million subscribers nationwide—and an influential force in socialist party politics. This carefully researched book details the rise and fall of Wayland and the Appeal, and examines the conflicts that arose between Wayland’s capitalist business practices and the paper’s socialist mission. Notable incidents in the history of the Appeal to Reason include the initial publication, in serial form, of Upton Sinclair’s The Jungle and its support of Eugene V. Debs in his campaigns as Socialist candidate for the Presidency of the United States. The Appeal was also embroiled in numerous labor disputes and lawsuits, even suffering from the occasional scandal. Along the way there are cameo appearances by union advocate Mother Jones, attorney Clarence Darrow, and Presidents Roosevelt, Taft, and Wilson. Shore doesn’t concentrate his narrative entirely on the Appeal, but also provides a broad overview of the radical press at the time. Talkin’ Socialism reminds us of an era when newspaper editors, of papers large and small, were the pundits, celebrities, and philosophers of their day. It was a fascinating time in American history when socialism was seriously considered as a viable option for American government by millions of people in the working and middle classes. Shore examines why that idealism ultimately failed to triumph, and how the downfall of socialism in America was inextricably linked to the downfall of the Appeal itself. In the interest of full disclosure I must confess that I work for the publisher of this book. It was published over 20 years ago, however, and has long been out of print, so I have had nothing to do with its production or sales. I read it simply because the subject was of interest to me. Anyone interested in the history of American socialism or the radical press will enjoy this book and should definitely seek out a used or library copy. Of the many short story collections Jack London published during his life time, Moon-Face, first published in 1906, is one of the best. London’s two favorite topics—the Klondike gold rush and South Pacific sailing—are absent from this book. Though those two categories represent the work for which London is most famous, during his prolific career he experimented with a broad range of subject matter and literary styles. Often this produced mixed results, but the stories collected in Moon-Face are for the most part very successful. “Moon-Face,” the story for which the collection is named, explores the psychology of a murderer in a sort of humorous take on Edgar Allen Poe. In “The Shadow and the Flash,” an excellent science fiction story, two rival scientists race to discover the secret of invisibility. “The Minions of Midas” is an audacious tale of terrorism that’s years ahead of its time. The closing piece, “Planchette,” is a longer work that could be considered a novella. The title refers to a device similar to a Ouija board, through which two young lovers discover that a supernatural force is bent on destroying their happiness. It’s a skillfully paced and quite suspenseful horror tale, unfortunately marred by the fact that London chose to leave one very important question left unanswered. The one true wilderness adventure story in the book, “All Gold Canyon,” is one of London’s absolute best. A prospector discovers an idyllic canyon in the Sierra Nevada and commences a methodical search for gold. This piece contains some of London’s most beautiful naturalistic writing ever, with stunning descriptions of the natural world and a detailed nuts-and-bolts description of the process of gold mining. The narrative then accelerates into an edge-of-your-seat thriller. It is an artfully crafted masterpiece from start to finish. Not every one of these eight stories is a total gem. There are a couple clunkers in this collection, namely “Local Color” and “Amateur Night,” but they’re not offensively bad, just moderately flawed. The joy of reading these stories for the first time is you never know what unexpected turn London’s going to take next. Horror, sci-fi, romance, adventure, humor, suspense—London tackles them all. That unpredictability, along with the inclusion of the classic stories mentioned above, makes Moon-Face a collection greater than the mere sum of its parts. Tales by Polish Authors by Henryk Sienkiewicz, et al. This collection features six strong stories by four Polish literary masters of the late 19th and early 20th centuries. More than half of the book is taken up by the brilliantly satirical novella “Bartek the Conqueror,” by Nobel Prize-winning author Henryk Sienkiewicz. Bartek is a Polish everyman, a blockheaded peasant who symbolizes the lower class agrarian Pole of the 19th century. He is drafted to fight for the Germans in the Franco-Prussian War, where he is hailed as a hero in the battles of Gravelotte and Sedan. Sienkiewicz celebrates the bravery of the Polish peasants in this war, while making it clear that it was a bravery born of blindness and ignorance. At times the novella resembles Stephen Crane’s The Red Badge of Courage in its depiction of the pointlessness of war, yet this war is even more pointless because the Poles were fighting for an empire that was oppressing their own nation. After the war, Bartek expects to be hailed as a hero, but he soon learns he and his fellow villagers must face the same old discrimination at the hands of the occupying Germans. Though far different from the epic historical novels for which Sienkiewicz is famous, “Bartek the Conqueror” is a masterpiece in its own right and the obvious standout in this admirable collection. Stefan Zeromski’s “Twilight” is a bleak but beautifully drawn naturalistic depiction of the harsh life of two day laborers, a husband and wife, and the suffering they will endure to ensure their family’s survival. “Temptation,” also by Zeromski, tells of a young man on the verge of entering the priesthood who experiences a painful reminder of what he will be sacrificing when he takes his vows. Adam Szymanski’s “Srul—from Lubartow” is a tale of Polish exiles in Siberia. In the near arctic town of Yakutsk, the former Poles find the icebound landscape a far cry from the warmly remembered beauty of their home country. The final two selections, both by Waclaw Sieroszewski, are also set in Siberia, but primarily deal with the lives of the indigenous peoples there. “In Autumn” is about a Polish visitor living among the Yakut people who embarks on a hunting trip through a forest believed to be inhabited by demons, while “In Sacrifice to the Gods” tells of the Tungus people, nomadic herders who are beset by a mysterious plague that kills their reindeer. Tales by Polish Authors was compiled by translator Else C. M. Benecke and originally published in 1915. If the idea behind this collection was to showcase the best in Polish fiction, it seems an odd choice that three out of the six stories take place in Siberia. If there’s a common thread running through the pieces included here, it is that they are all in some way concerned with the plight of the lower classes, whether peasants, exiles, or aboriginal peoples. The life of the poor is depicted as incredibly harsh and bleak. The only aspect of life that’s given a positive treatment is the beauty of the natural landscape. Given the time period when this book was published, these authors could be seen as the Polish equivalents of the American “muckrakers,” who wrote about social injustice and the reality of poverty. Even Sienkiewicz, the renowned writer of romantic historical novels, comes across as somewhat of a naturalist here. This is an impressive collection of stories, containing some profoundly moving moments. Sienkiewicz shines above the rest, but the other three authors also prove themselves worthy of further investigation. Else Benecke produced a second collection of stories, More Tales by Polish Authors, which is also available for free Kindle download. Originally published in 1830, An Episode Under the Terror is one of the earliest pieces in Honoré de Balzac’s Comédie Humaine, a large series of works in which he explores the many facets of French society. “The Terror” in the title refers to the period immediately following the French Revolution of 1793, when thousands of people lost their heads under the guillotine. The nobility were stripped of their titles and wealth, and many were executed as enemies of the state. Because of their religious faith and their support of the former monarchy, the clergy were also persecuted by the new Republican government in its attempt to establish a radically secular state. This story revolves around members of the clergy who refused to take an oath of allegiance to the new government, and therefore were forced into hiding as fugitives. In the captivating opening scene, an elderly woman trudges through the snowy, deserted streets of a run-down neighborhood in Paris, tailed by an unknown pursuer. The suspense is palpable. This is a short story, and little can be revealed without spoiling it, so the less said about the plot the better. Despite its brevity, it possesses a great depth of emotional power. Balzac expertly captures the paranoia that reigned during this dark period in France’s history, the undying faith of those suffering religious persecution, and the guilt and regret felt by many who saw the new regime as proof that France’s glory days had passed, never to return. An Episode Under the Terror is a very moving and memorable piece of writing. It’s only fault is that it’s so good, you’ll wish it were longer. Don’t let the title fool you. In the first six chapters of this book, no less than four characters take to their death beds, and Zola provides us with minute details of their sufferings, relapses, and further sufferings (I won’t say who survives and who dies). Zola meant the title to be ironic, which is clear early on. Pauline Quenu, who was a little girl in Zola’s novel Le Ventre de Paris, is now a teenager, recently orphaned. She moves to Bonneville, a small fishing village on the harsh Normandy coast, to live with the Chanteaus, relatives of her father. She spends an awful lot of her time nursing the sick. Otherwise, she’s hanging out with her cousin Lazare as he tries to figure out what he wants to do with his life. He dabbles in science, music, and other business ventures. This book overflows with suffering, much of it pointless. Basically, the heroine is continually abused (not physically) by the people she loves, and doesn’t make any attempt to free herself from the situation. The descriptions of life in the brutal seaside town offer some interest, but most of the novel takes place within the walls of the family home. The story has a bit of a gothic feel, reminiscent of Wuthering Heights. Unlike the other novels in the Rougon-Macquart series, this book doesn’t offer much historical perspective on life during the Second Empire. Unless you plan to read the entire series of twenty novels (which I wholeheartedly recommend), don't bother with this volume. I rarely read contemporary fiction, but I’m a big fan of the Justified TV series, and have always liked the movies based on Elmore Leonard’s books. This is the first book I’ve read by Leonard. I approached it hoping to find the gritty atmosphere, clever banter, and unexpected plot twists that I have come to enjoy in the film and TV adaptations of his work. Not only was I not disappointed, I was pleasantly surprised by Leonard’s skillfully crafted prose. Though he writes in short, choppy, often incomplete sentences, he has an admirable command of the English language and a talent for elegant understatement. His characters are well drawn, with complex pasts, and the plot is exciting and engaging throughout. Despite the publisher’s repackaging of this book as a Justified-related title, it was originally published in 1993. Deputy U.S. Marshal Raylan Givens is not so much the star of the novel as he is a member of an ensemble cast. For much of the book, our attention is centered on Harry Arno, a 65-year-old World War II veteran and longtime Miami bookie. The feds, in an attempt to nail Arno’s mobster boss, spread the rumor that Harry is stealing from his employers. Raylan is assigned to protect Harry, but when Harry flees for his life, thus becoming a fugitive, it’s Raylan’s job to apprehend him. As the book goes on, Raylan becomes a bigger part of the story. Though he’s stationed in Miami for this book, we do learn quite a bit about his earlier life in Harlan County, the Glynco Academy, and elsewhere. Fans of Justified will also recognize mobster Tommy Bucks, who appeared in the pilot episode of the series. Leonard has a wry sense of humor, and the book overall has a lighthearted tone, yet the life-and-death confrontations in the book are still intensely suspenseful. Leonard has such a talent for writing snappy dialogue, at times he gets a little carried away. You sometimes wonder why the two characters facing off don’t just shut up and shoot each other. But that would spoil the fun. Pronto is a lively read with hardly a dull moment. I look forward to reading the rest of the Raylan Givens books, as well as anything else of Leonard’s I can get my hands on. Karl is not a professor of literature and doesn’t claim to be. He’s just an enthusiastic reader who really enjoys old books by dead guys. Karl has worked as a graphic designer for over 20 years, and has spent much of that time designing books and book covers. His reading interests include classic literature, philosophy, art, history, foreign languages, archaeology, and the occasional graphic novel. © Karl Janssen. Simple theme. Theme images by billnoll. Powered by Blogger.